We’re not good at putting ourselves first; children, spouse, family, work and friends are often more important. All the more reason to find the time to do some self-pampering in the everyday, if only for a few minutes – and relax! Home spa is one of my favourites – a warm bath, candles, perhaps a glass with something refreshing and a magazine and I’m in heaven. And a great thing with home spa: It doesn’t need to cost an arm and a leg either. 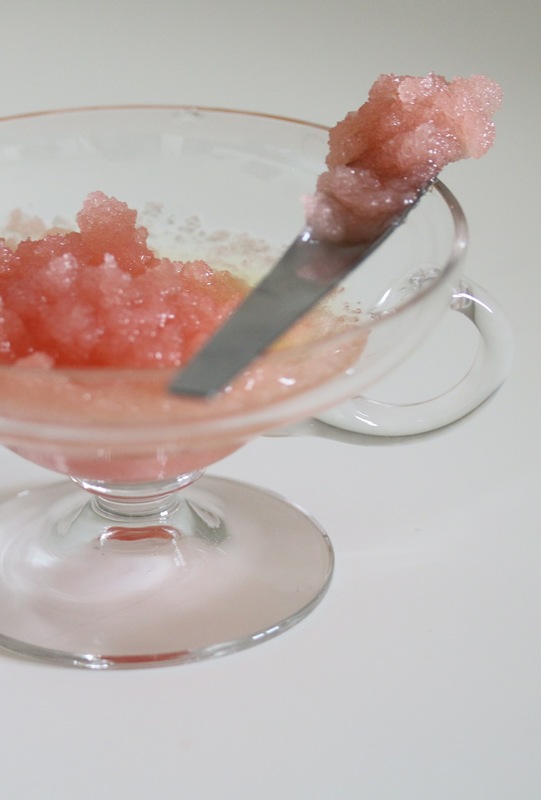 With simple ingredients you (or your kids/or all of you together) can make your own perfect spa products. Add some essential oil such as lavender, rose, lemon. You could add some colour; food colour or natural colours from beetroot or blueberry. Add some herbs if you like. Mix it all together and leave to dry on a dry surface. 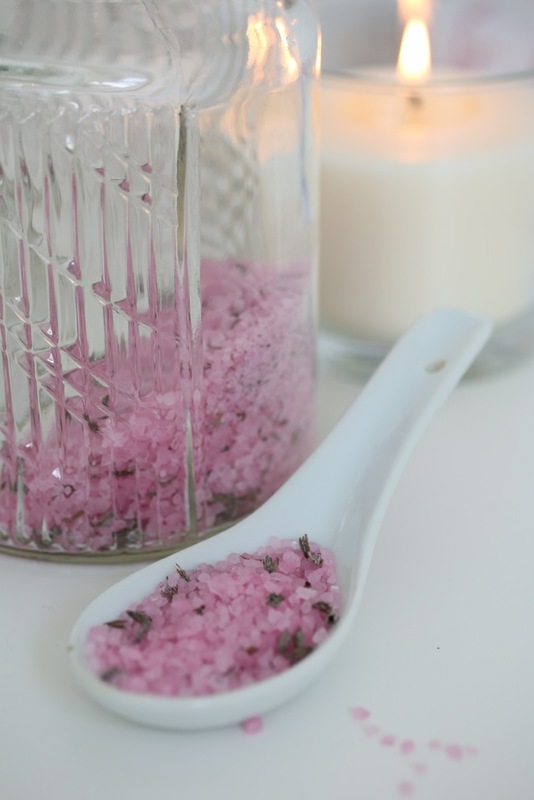 Mix a cup of sugar with a few drops of olive oil in a bowl and add some essential oil; peppermint is great for your feet (for colour I used a couple of drops of beetroot juice). 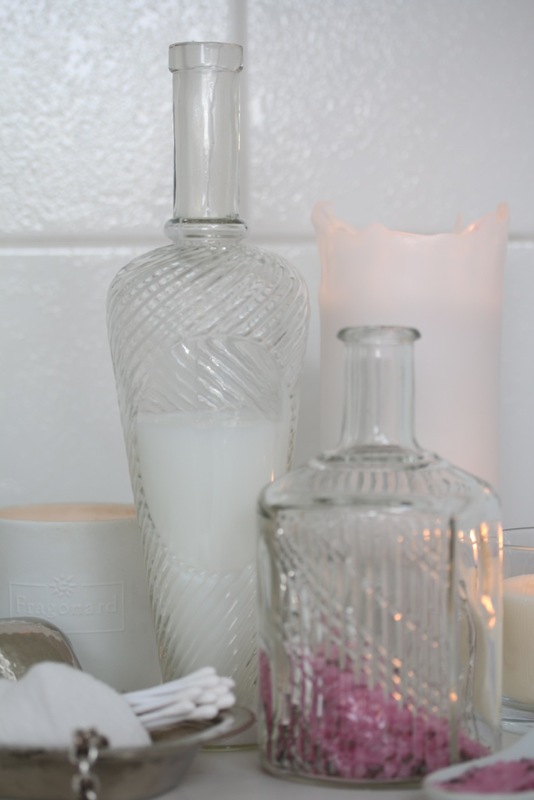 I also like to refill shampoo etc in glass bottles and carafes, it’ll make the bathroom look a bit more glamorous. Who said anything about the practical aspect? Take the break you deserve! My version of home spa is to light some candles, make a cup of good coffee/tea and read an immersive book fiction or something with new ideas. Thank you for sharing, I totally agree with you. Nice DIY home spa. Thanks for the great tips. I shared this article on DIY best posts. Thanks for your nice comment and for sharing on DIY best post!